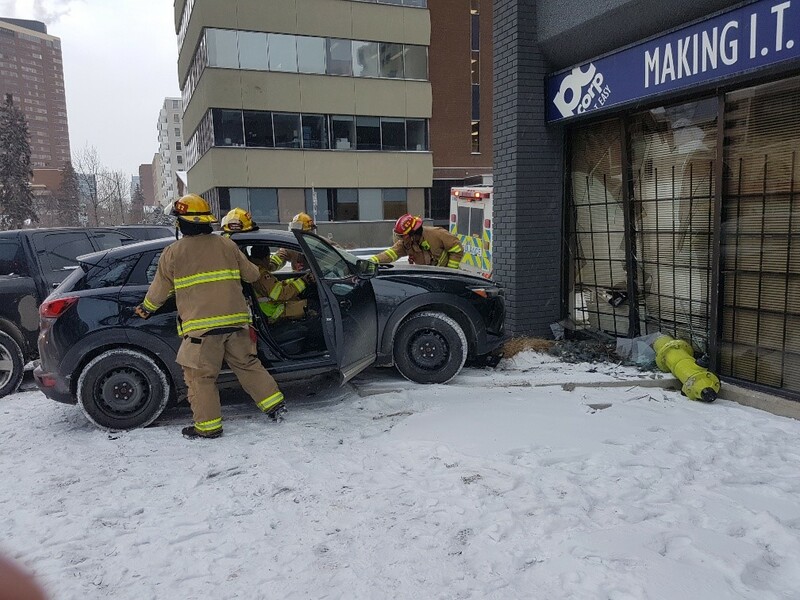 Car Crashes into PC Corp Calgary Office! No caffeine was needed to wake up on this day. February 8th jump-started with a BANG and a shot of adrenaline for the PC Corp Calgary team! Friday morning, a vehicle collision at our intersection sent one of the cars over the curb, pushing over a fire hydrant, through our windows and coming to a hard stop against our security bars. Fortunately, the team member whose desk was against the window had just gotten up to greet someone, and others in this shared workspace, though in the room, luckily were not directly in the crash area. 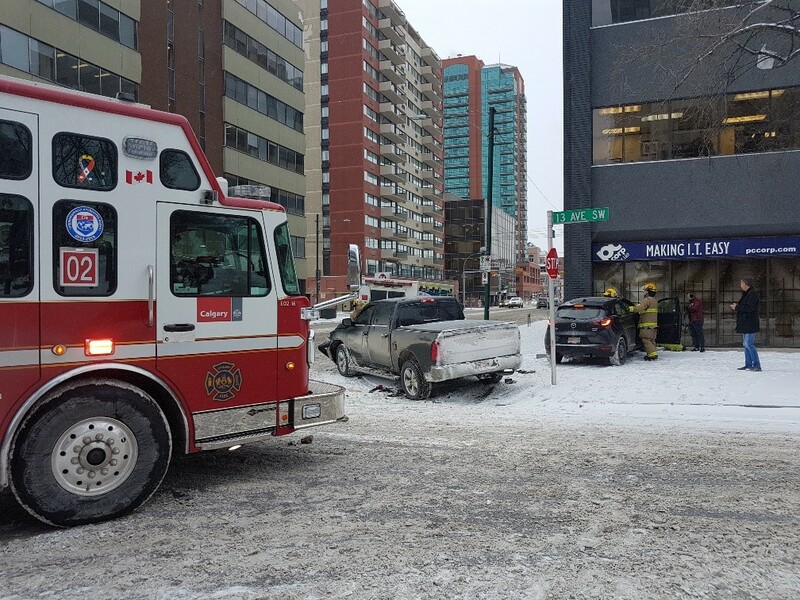 Bumps and bruises were sustained by a couple of our team making their mad dash out of the office and no injuries were reported by the drivers involved in the collision. 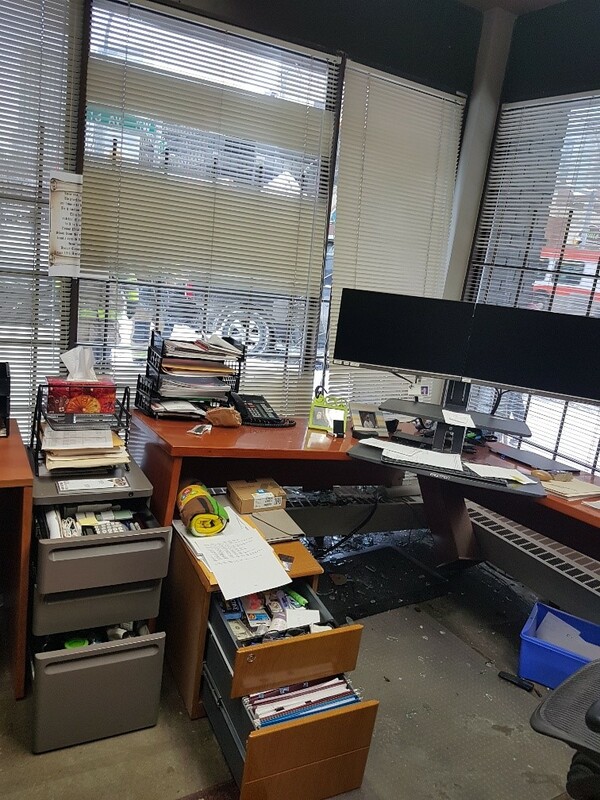 Things came together that no one was seriously hurt, a couple of vehicles need repair/replacement, the PC Corp windows and security bars need repair, and one of our mates needs a new desk. Minor in comparison to ‘what could have been’. Big thanks to emergency services on the scene! Despite the damages, everyone involved came out relatively unscathed and with a fresh reminder to look out for one another.